ZipCloud is a Windows 8 file backup app to create online backup for your important files & folders in a seamless manner. By using this file backup Windows 8 app, you can backup on multiple machines. 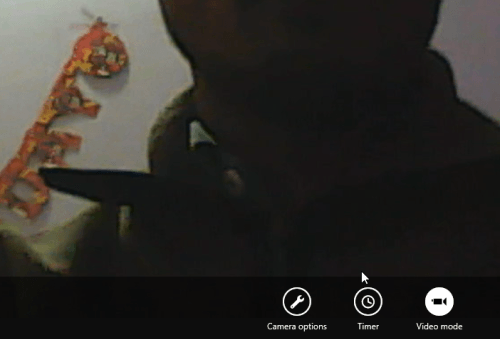 Also, you can capture snaps or record videos using webcam and upload them instantly on the cloud. In addition, you are provided with option to draw doodles, store them online, and manage online notes. In brief, it is a feature stuffed versatile tool. You can easily locate ZipCloud Windows 8 file backup app under ‘Productivity’ section of Windows Store. On launching ZipCloud file backup app for Windows 8 the very first time, you will be asked to login or for registering an account. After login, the dashboard will be presented to you. Let us have a look on the different how-tos in context to ZipCloud Windows app. Click on ‘Upload file’ button and soon you will be prompted to select the file that you want to store online. Then, select the file and click on ‘Upload File’ button placed at bottom right section of the interface. It must be noted that you can select only one file at time. Then, you will be prompted to select the destination folder and click on ‘Upload’ button. If you have none, then the file will be stored in the default ‘sync folder’. Have a look on the procedure to create a new folder. 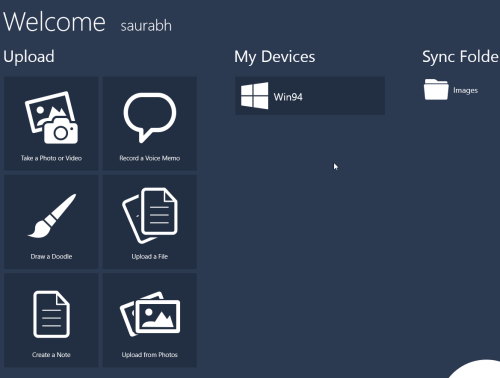 Visit the home screen of ZipCloud Windows 8 file backup app and click on Sync folder in third row. Then you will be presented the directory structure. Next, you require to right-click on blank region and then select ‘Create Folder’ button placed on the left corner of the bottom bar. 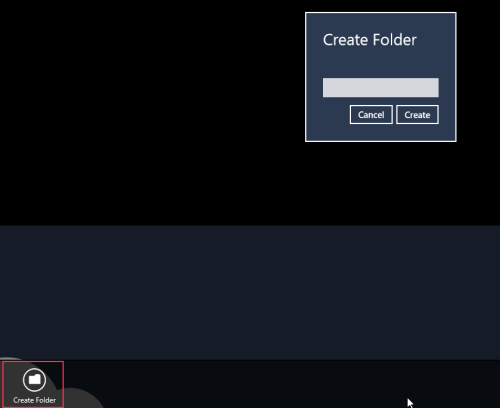 Then a new form will appear on the screen for entering the name of the new folder to be created. Now, type the name of the new folder and click on ‘create’ button. Then select multiple Images from your pictures library followed by a click on ‘Upload’ button in the bottom bar. Next, you need to select the folder and click on ‘Upload’ button to continue. On doing so the uploading will begin. Also, check out our posts on Zip File Apps, 7Zip, and ZipSend Dashboard App. Click on ‘Record voice memo’ button on home screen of ZipCloud Windows 8 file backup app. 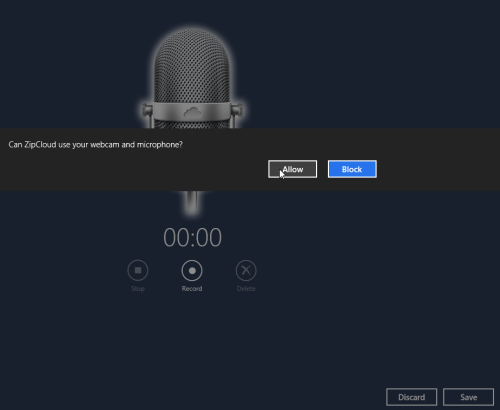 Next, you will be presented a microphone image with ‘Stop’, ‘record’, and ‘Delete’ buttons. On your firsts click on ‘Record button’ you will be prompted to allow the app to access the microphone. Next, speak your message and mark its end with a click on ‘Stop’ button. Next, save the recorded file to desired folder following the procedure already stated above. Click on ‘Take a Photo or a video’ button placed on home screen after which you will be prompted to allow ZipCloud app to access your webcam. You can also set a timer to take the pic. You can also switch to ‘video mode’ for recording video with audio. Finally save the file as discussed above. Open this link in supported browsers such as Internet Explorer 10 or advance. 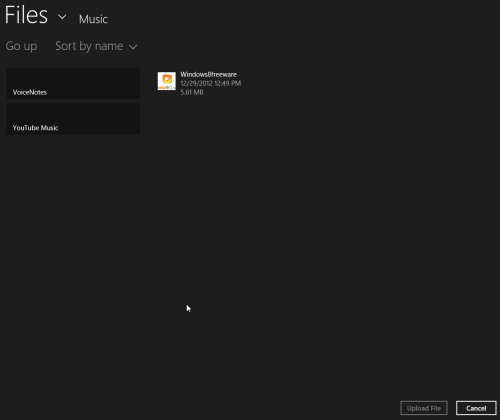 Then on the webpage click on ‘View in Windows Store’ followed by a click on ‘install’ button placed on app overview page. The overall impression delivered by ZipCloud Windows 8 File Backup App was good. It’s quite versatile and for this reason you must try it on priority basis.